Ann Sherry AO, Chair of Safe Work Australia, Georgie Harman, CEO of beyondblue, and Leanne Faulkner, small business owner and mental health champion, discuss the challenges faced by many small businesses and sole traders and how these may affect their mental health and that of their workers. The panellists offer ideas on how business owners can prevent mental health problems and support themselves and their staff when they face difficulties. Small and micro business owners, their families and employees, regulators and professionals in mental health, work health and safety and business management. Ann Sherry AO is the Chair of Safe Work Australia and Chief Executive Officer of Carnival Australia and board member of a number of companies. Georgie Harman is the Chief Executive Officer of beyondblue, a public company which aims to promote good mental health. Leanne Faulkner is a small business owner, the 2015 Champion for the Council of Small Business of Australia, and works to support the mental health of small business owners. Hi. I'm Carolyn Davis, the Safe Work Australia member representing the Australian Chamber of Commerce and Industry. I'd like to welcome our studio audience and those of you who are watching online today's virtual seminar, Becoming a Mentally Healthy Small Business. This important discussion is appropriately being conducted during Mental Health Week. Firstly, I acknowledge the traditional custodians of the land on which we are meeting, the Ngunnawal People. I acknowledge and respect their continuing culture and the contribution they make to the life of this city and this region. Our focus today is on the special challenge and psychological health of those who operate and work in small business. Small businesses make an enormous contribution to the Australian economy. Across Australia there are over 770,000 small businesses and about one million independent contractors. We estimate that small businesses and sole traders together employ over 3 million workers or about 31% of their total workforce. At Safe Work Australia and the Australian Chamber we're very aware of the pressures experienced by many small businesses. Their long working hours, the need to deliver often with very limited money and very limited people, time and equipment. Our own Australian Chamber data and Safe Work Australia research tells us that they often find the burden of paperwork quite onerous, whether it's just from the demands of the day-to-day business or the paperwork required to demonstrate their business's ability to meet the sort of quality and safety standards they want. 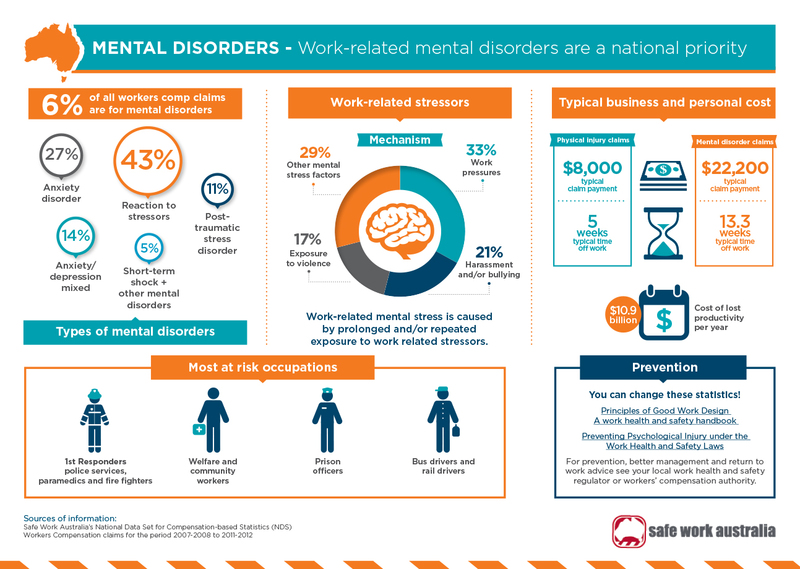 We know that the benefits of mentally healthy workplaces are there and we know that mental illness has a serious burden – a serious human and economic cost. In 2013 there were over 9,000 accepted worker's compensation claims for mental disorders and that means with over $340 million that's paid in compensation. Whatever the figures prevention is really the key. We know that people experience mental illnesses that can arise from a combination of factors. For example we come with our genetics, our personality, exposure to stressful life events such as bereavements and serious illnesses and prolonged stress at work. Importantly we've got some recent research that shows that one in five Australians aged 16 to 85 experience a mental illness each year. These can vary from mildly distressing to seriously debilitating. The most common mental illnesses are the depressive, anxiety and substance use disorders and often there are these three types of mental illnesses occurring in combination. Sadly we also have each day around six Australians that die from suicide and a further 30 people will attempt to take their own life. Given how these statistics show at one time or another we're likely to work with people or indeed ourselves experience periods of poor mental health. So it's in everyone's interest to discuss this important topic and know where to go for information or help. So it's good to have some knowledge. Today we will hear from three panellists. Their full biographies are on our website. They're a bit weighty to go through today. So first let me introduce Ann Sherry. She's the CEO of Carnival Australia, the largest cruise ship operator in Australasia and she's also our Safe Work Australia Chair. Ann holds a number of non-executive roles in large Australian companies and in 2001 she was awarded a Centenary Medal and in 2004 an Order of Australia for her contribution to the Australian community. Our second panellist is Georgie Harman. She was appointed CEO of beyondblue in 2014. Previously the Deputy CEO at the National Mental Health Commission she's also worked in the private sector. I am delighted we have also with us today Leanne Faulkner. From 2004 to 2012 Leanne established and ran Billie Goat Soap which she grew from a kitchen-based hobby to a highly successful small business. Leanne understands well the strains and pressures faced by small business owners today and fought her own battle with situational depression triggered by tough trading times and conditions. Last but not least, let me introduce today's Facilitator Mr Barry Sherriff an acknowledged thought leader in work health and safety. Before we start, we're just going to listen to a couple of compelling stories that remind us of why we are here today. "Six to eight months ago I became really unwell. I started having – I had a psychotic episode and it was – it was really awful when I felt like I couldn't talk to anyone about it or tell anyone what was going on. I'd never told anyone before apart from my doctor after it had happened that, you know, I'd experience psychosis." "Alsa is my boss. Yeah, she was very, very encouraging and when I first told Alsa what was going on her initial reaction to me was 'You really need to go back to your doctor and you really need to sit down and work out a plan and discuss this further with him.' My manager just generally made me feel comfortable in my role and I knew she respected me as an employee and an asset to her business. So I had no problems in – in telling her what was going on. I felt that it would be a positive thing to do. I love going to work. It's a very positive place to be. Staying well to me means taking my medication. That's the number one thing on my list is that I have to take my medication and I like to run which I also find really helpful. I have regular check-ins with my doctor and you know, try to be doing different things." "Having a mental illness is no different to having diabetes or cancer or any of those things. It's just a matter of going through, finding out what works with your doctor and following through with that I think is also very important." "They both are people that don't understand it and still don't understand it to this day. But considering that, their support has just been phenomenal, like I probably had three months after the first attempt and I probably got a message off either one of them every week or two just asking how I was. It wasn't when he came back to work. It was, you know, how are you…?" Well welcome everybody to the webinar today. It's a very important topic and those videos certainly demonstrate how important the issue of mental health is to us all. But I must say that the videos also provide some hope and identify opportunities for us all both individually and as businesses in dealing with the issues as they arise and helping us all through the issues when they do arise. We do have an excellent panel today with a wide variety of experiences and a lot of contribution to be made to the topic. But I would encourage everybody online to also contribute. Provide us with your questions so that we can actually make sure that this is most relevant to those who are tuning in today watching this and wanting to take away information. It's important that it's very relevant to you. So I really do encourage you to provide us with your web questions and we will throughout the course of the session take those questions and put them to members of the panel. Before we start I think – or to start what we do need to do is to make sure that it is clear exactly what we're talking about. There are many labels that are thrown around. There are many descriptions. What is it that we're actually talking about? So if I could ask you Ann can we start by clearing up some of the language that people use when they talk about mental disorders and mental illness and so forth? Also this is described as "becoming a mentally healthy small business". What does a mentally healthy workplace look like? Weighty questions. Let me start with the last one first actually because I think healthy workplaces whether it's mentally healthy or just a healthy workplace have the same sort of characteristics. You get support on the job. You're treated with respect. If something goes wrong people ask you how you are and look to help you. So I don't think it matters whether it's mentally healthy or generally healthy. The same sort of culture, environment really describes a great place to work and we all know it when we work in those sort of places. You want to go there and it doesn't matter what's happening in your life, you feel as though you can talk about it and people will help you if you need help or treat you with respect. So I think any – I'm sure there's much more language that people would like to wrap around that but I think if we keep it simple and are just clear about the basics of great workplaces then we can get there. I think in terms of the other language there's a lot of specific language used around anxiety, depression and so on. We've been using the term "mental disorder" and we're going to use that today. So that's really when you know that things aren't – things aren't quite right, but it hasn't tipped into mental illness when you need some sort of medication or a really more significant intervention and lots and lots of people have mental disorder. I think we heard some of the statistics a minute ago – lots of people feel anxiety, lots of people are stressed. There's a lot going on in our lives. There are people whose – members of their family have died. Going through those sorts of moments and I think that's when the term "mental disorder" is widely used and probably takes away the stigma I think of some of the specific labels and others here I'm sure can talk about that better than I can. But you destigmatise. So again let's keep that simple. Mental disorders – they're the things that lots of people have – anxiety, depression, whatever label you want to put on it and mental illness is really when you tip over into needing a full intervention. A number of points come from those answers. One is that it is important to have destigmatisation and that is part of the healthy workplace and also the point about early intervention. And I love the point that was made by Katie on the video that it's an illness. It's no different to diabetes or whatever. It just happens to be a mental illness as opposed to a physical illness but we need to accommodate in the way we have all other illnesses and issues that people have to deal with in their lives. This is just another one of those things which is why I like the idea of healthy workplaces having almost a generic flavour to them, whether it's about managing some sort of mental illness or it's about managing anything else that's going on in people's lives because we all spend a lot of time at work. 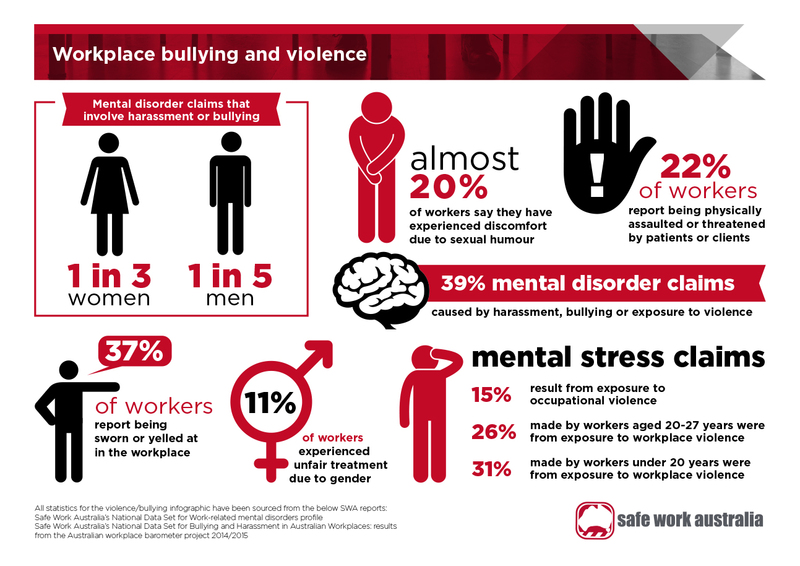 So we want our workplaces to be places we can speak up, look for support, talk to other people about what's going on, share. Share pain as well as joy. It's a place that you want to go and to be able to have those sort of conversations. Yeah. So a mentally healthy workplace is one that does in fact provide that support. So whether or not it's related to the work itself or whether it's quite separate from work, the workplace itself can assist. Yeah and simple things help. Some of the campaigns that Georgie and others have campaigned for and championed fantastically, even things like "Are you okay?" The simplicity of saying to people who sit next to you or you run into all the time at work "Are you okay," as just a common courtesy, a good question to ask people. So there's a sense of that incredible engagement which you know again makes your workplace feel supportive. You start to be able to speak about things that maybe you can't speak about in other parts of your life or other environments that you're in. And certainly that came through from particularly Katie's video as well. Yeah it was a wonderful vignette actually about someone who not only spoke up but who spoke to her boss, found she was supportive. That's the dynamic really that you want and in small businesses which of course we're talking about today as well, you have very personal relationships often in small businesses. You know everyone, you're with them a lot. There might be family members or extended family in small businesses. Of all the environments where this should be manageable – I know we always talk about the things that are hard to do for small business but I think the personal relationships in many small businesses and the dependence on the people who work for you and with you make it even more important that you're open to those conversations. Well certainly the dynamic of the organisation, the environment, the relationships and so forth is very critical to this but as you've mentioned before think of it not as something that's quite separate but it is an illness of a type just as a physical illness might be. Physical illnesses of course a contributor to those, is the design of the work itself as well as of course the equipment. What about with mental illness and disorder? I think it's the same. You know, designing work around people is the way it should happen and whether it's mental illness, physical illness, disability, I think the idea of creating workplaces that are – we talk about flexibility just in terms of hours but in fact it should be around work design because what all of us want from people who work with and for us is for them to be able to contribute their best. If that requires you to think differently about the way you organise work, the tasks you've got people doing, the way you manage them in their workplace, particularly people who've got some sort of – who've said to you "I have a problem”. I have some sort of mental disorder or mental illness. “This is what makes me anxious," or "This is what makes me feel uncomfortable," to be able to organise work around that I think gives them the opportunity to continue to contribute to the business and to contribute to their best. For you running a business or running a small, medium or large business, it gives you the opportunity still to hang onto great people who know your business well, who know your customers well – all those things that you can't replace easily. I think the more we think about the design of work in workplaces to accommodate people rather than everyone having to fit into a workplace or a work design that maybe was thought up 50 years ago and isn't that relevant in the 21st Century anyway. So sometimes I think it prompts us to have a good look at what's happening in our work environments. So the design of work is not only about managing out risks that might give rise to these disorders but also supporting people through the process. Yeah absolutely and again these guys have got much better examples probably than I do but you just know that holding good people is ultimately what you want to do in your business and whatever you need to do to make that happen because if they came in with a broken leg you'd give them a chair. If they come in with – and say "I need this to be adapted because this has happened and…" it's no different really. I think that's the mindset that we really need to shift because – and you raised the term "stigma" earlier. That’s where there seems to be more stigma about this than there is about other issues that people may raise. I think getting over that sense that somehow this is different is a really important part of the message. If we get any message out today it's actually getting over that stigma and that it's different. In fact exactly the same principles apply. Georgie stigma arises as a result of a number of things including misconceptions and it's not just the stigma. It's also misconceptions around how you approach it. What are the common misconceptions about people with mental illness that get in the way or cause difficulties? Look I could talk endlessly about this but I'll focus on a few. The major one is that having a mental illness or a mental disorder or whatever label or term we want to use is rare. Can I say that there is nothing that can be further from the truth. 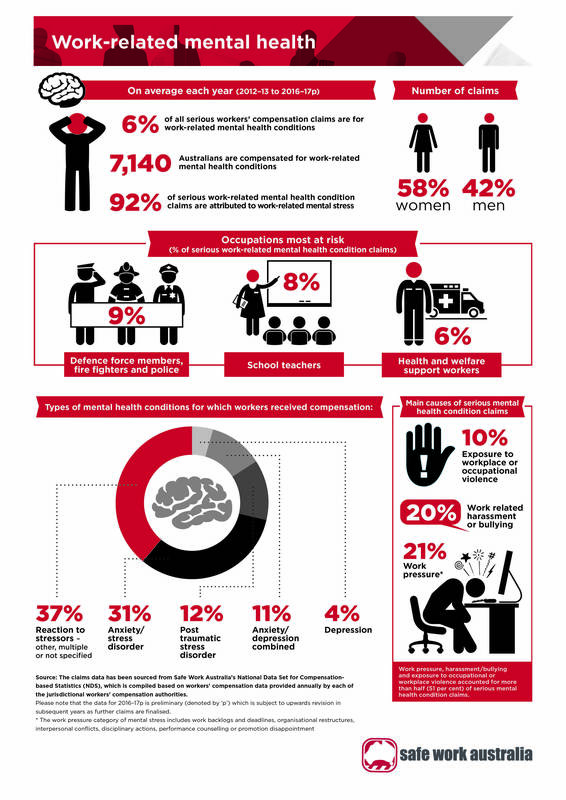 One in five Australian workers today are experiencing some kind of mental health problem. At any point in our lifetime about nearly half of us will experience some kind of issue. So this isn't about other people. It's not about them. It's about us and from my time working in this sector I've had the extraordinary pleasure to meet the most amazing people who live with all forms of mental illness, who are highly functioning, who are extremely accomplished, who run their own businesses, who are passionate about what they do and highly productive. So people, you know, people just like us are people who live with mental illness. They don't look different, they don't behave differently. Sometimes they behave a little, you know, less than they would at other times. But you know, at the end of the day they are people who are just getting on with their lives. We come to work bringing all of us. So we don't disaggregate our depression or we don't leave our anxiety by the door when we go to work. So we really need to think about the workplace as a place that needs to look after the whole person and as Ann said it's about creating a healthy environment at work that looks after people's mental health as well as their physical health. The other thing I would stress is that I quite often hear people say "it's never going to happen to me." Well again go back to those numbers. Nearly half of us at some stage in our life. Every single family has some kind of story, whether it's a personal story, whether it's something about a relationship whether it's losing someone to suicide, whether that’s a colleague or a loved one. The other major thing that we continue to come up against is that somehow having a mental health issue or disorder is somehow a character flaw, somehow a sign of weakness of your personality or of your character. Again I mean I have met the most extraordinary people who I admire deeply who are highly functioning and who are far better people than I am. So again I would really, really challenge that. We know that people still feel very strongly that people just need to snap out of it. Can you imagine the pain that you might be in if you have a huge gash in your leg and blood is spurting out? Would you actually go up to that colleague say "For God's sake just get up, pick yourself up," you know, "sort yourself out and just get on with it"? It is absolutely no different. The ludicrousness of that scenario is something that we hear time and time again. The final thing I'd raise is the misperception that somehow people living with mental illnesses are violent and bad and mad and dangerous. Sometimes when you pick up the papers it's not surprising that some sections of society still feel that way. Well in fact the truth is that people living with mental illness are far more likely to be the victims of violent crime than the perpetrators. So there's just a quick sort of summary of some of the things that we still come across. Perhaps if we can now move to someone who has experienced it and not only someone who has experienced it but has experienced it in the context of small business, being a small business person. Leanne you have recovered from a mental illness and I know that you do a lot in the space now and assist others. Can you just tell us about your experience and what advice you'd give to small business? Certainly. I think there's an awful lot of pressure on small business owners in particular and when you consider that over 60% of all small businesses in Australia are actually sole operators and sometimes we forget that because you see a business name and you think "business" but in fact that business name is usually a single person. It might be the accountant who works at home doing your taxes once a year. It might be the hairdresser down the road. It could be the truck driver who contracts to Linfox and drives between Melbourne and Sydney every week. That's actually the small business person. I think there's a lot of pressure nowadays for small business people to be a particular type of stereotype and the reality is that we're not all going to be Richard Branson. Generally small business is actually a lot of hard work and we don't always share that and we don't necessarily normalise that. So, what that meant for me was when my business went through its time of struggle back in about 2011 or so, if my business in my eyes was failing, then I was a failure. Obviously I'm not as good as everybody else because what I hear about is the success stories and the glory of being an entrepreneur – resilient, tough at all times, able to solve all problems, rich, a go-getter and I was struggling. So yes I was – I felt like I was the failure. I must be doing something wrong because everyone else is succeeding when in fact I learnt, my experience as you've mentioned Georgie, was in fact a shared experience. We just don't talk about it enough in small business and some of the signs that were triggers or red flags for me where I would cry on the way to work. I would sit outside in my car and wipe my tears away and go "Get it together girl. You've got employees," because I've got to walk in and I've got to smile and go "Hi, it's a great day today," because as a small business owner, I'm actually exposed to all of these connections – my employees, my customers, my suppliers, my shareholders, my bank manager. If I'm not well everybody's going to know. So the pressure was quite huge. So I actually got to the point where I could no longer work and I ended up on the couch unable to go to work. I was very fortunate I had my husband who was incredibly supportive who went "Look, let's swap roles. I'll go in," and I was so grateful for that because he – he was the one who was able to help me get through that period. Once I sought out some help and I was able to get myself back to work then I really had to develop a back to work program for me as the owner. The employees had to get used to having me back and how do you do that? I went back to work on a part time basis, on a casual basis and worked myself up to being able to go back to work. I don't think that we always realise that there's so many facets to small business owners who do struggle with a mental disorder or a mental illness. It's a quite a web I guess that you tend to be in the centre of. Small business owners – sorry if I may – small business owners of course have invested so much in it. It's your baby, it's your idea and it's your dream. It's all of those things. I mean the pressure – there's an implicit pressure in that, really isn't there? I agree. Yeah. There certainly is and there's wanting to tell the world "I'm okay. I don't want to admit that I'm struggling," when in fact for me perhaps if I'd spoken up earlier and gone and sought treatment I may not have had to have stopped work. I may have been able to work through that at work because I had a great team of employees as well who loved me and loved the business. But I felt I had to live up to this stereotype of what an entrepreneur actually is and that was my undoing really. I think that's such a common experience and you know, without wanting to sort of put in gender stereotypes I'm going to. You know, men in particular, – our Australian notions of masculinity is such a barrier to men actually saying "You know what, I'm really not – I'm struggling." And look at the proportion of males who own small business. It's quite high. Yeah and I think this whole idea of as Leanne said, you know, showing your vulnerabilities. Saying, you know, "Yes, I might be the boss, I might be the head of this organisation, I might be," you know, "your employer but I'm having a tough time." I've seen it happen. You know, Leanne's staff would have rallied around her. They would have said "Okay, what can we do to support you?" The phrases that spring to my mind from what you've been saying are self-realisation, acceptance of the reality. Early intervention, openness with people. Having everyone a part of the circumstances and the solutions. Absolutely and that includes the suppliers, that includes the finance sector that you're working with and I think for me when I was struggling we got to the stage where I had to sit down and have some very honest conversations with my bank manager about what was going on for me and my small business. So all of those parties that are connected to me as the small business owner, I need them to help me in my recovery process as well and I was fortunate in that I had some very proactive suppliers who said "Hey," you know, "we love the brand and we love what you're doing and we want to ride the process with you." But you're absolutely right Barry. You have to have a sense of authenticity and honesty about what's going on initially. It's hard to get to that point sometimes and admit "I need some help here. it's not quite working for me." That's a big decision to come out and say that. So, particularly when you feel so many people are depending on you as the owner, the business owner. Another interesting point you made is that often it's a case of not understanding that others are in the same position, not only with the mental disorder or illness but also with the struggles with the business. And having that peer support, having a network allows you to better understand it's not just me. Yes and having – and using the resources that give you the support in that area like the Heads Up Program for example, because I found when I was feeling like a failure I actually unsubscribed from every business list. I stopped reading BRW, I stopped buying The Fin because all that did was compare me to somebody who's doing well and I'm failing. So I think it's great to get resources from you know, the areas that recognise "hey, we can help you." Georgie if we can look at another element of the business - Leanne's told us of her experience as a business owner – small business obviously has a small number of staff, very reliant on staff and obviously stresses within the business are amplified. Do you have any practical tips for small business when their staff are struggling and having these issues? Look I think the most important tip is to create from the very start of your – whether it's you do it tomorrow or you're setting up a business today and you're kind of planning what that business is going to look like. Create a culture that is warm, fun, friendly, that recognises that people have families outside of work, that people sometimes, you know, come to work and are not as productive as they are on other days. So that workplace culture where you know, you value your people and that's a genuine thing. I think other things like you know – I mean Leanne mentioned the Heads Up initiative. So that's headsup.org.au. There's a whole range of very practical, free, easy to implement strategies on that. Make information available about supports. Make information available about what is a mental illness and what are the signs and symptoms. Talk about it. Have a culture where you do show your vulnerabilities as a leader. You share stories where you encourage – so that if and when your employees do start to struggle they feel safe in coming to talk to you and say "Look I've just been diagnosed with X, Y and Z. I'm going to need a little bit of flexibility. Can we work out what that looks like?" Then you sit down with that person with empathy, even though every fibre of your being as a small business owner might be saying "Oh my God I've only got five people and this is going to be massive," and "How am I going to figure out? How am I going to move the chess pieces around to cover all of the things that we need to do?" sit down with that person and have a genuine conversation. You know, "I am worried about you. You're not being yourself. What is going on for you? ", "How can we support you? ", "If we do this for you do you think you can pick up a bit of work here?" you know, so reallocate duties. It's really about just as Ann said treating people like human beings and if a person has a broken leg, you'd say "Right okay do you need a taxi to and from work?" or "How are we going to adjust your work space so that you can actually work productively?" So there's a whole range of things but I think in essence it's about the culture, it's about leadership, it's about being open and honest and talking about this stuff and then it's about understanding what adjustments you can make and being assertive and confident in having those negotiations with the individual staff member who may be struggling. And I think to add to that we've got to also – that's why destigmatising is really important and taking the fear out of it. You know, because once we did – anyone who showed any signs of not coping was sort of suddenly to be feared and sent away. I mean it's not that long ago that that's how we used to manage any sort of mental illness and I think we now are in a completely different world where supporting people, keeping them engaged we know is the right way forward. 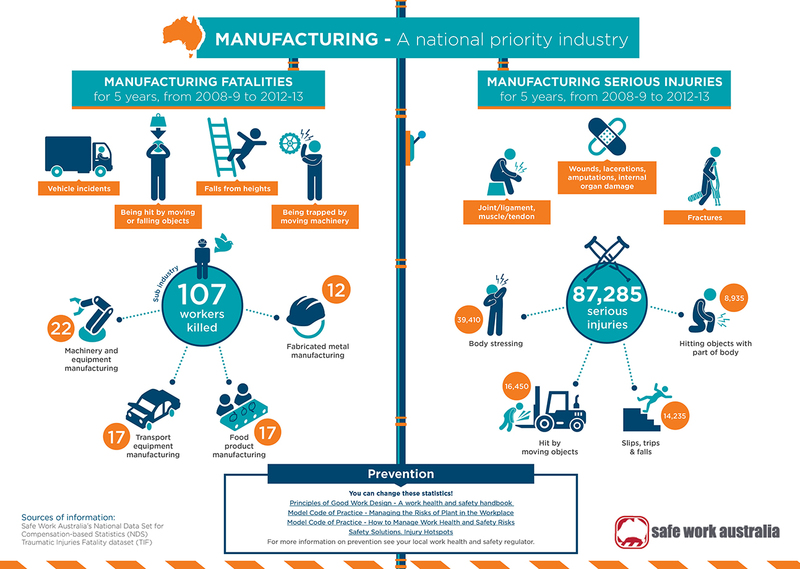 Of course Safe Work Australia on its website has got a lot of advice and support for small business operators as well. So there's lots of areas you can go if you're not sure. If you're thinking "What the hell do I do now? ", "How do I manage this? ", "Oh my goodness," there's plenty of places to go for very hands on, practical advice, simply written that you can step through and really help to think about it. I'm confident that you're getting a lot out of this but I'd again remind the studio audience and those online that it is very important that you get the most out of this session and I'd again encourage you to send us any questions. We do have a web question. So "Are farmers being included in the 'Small Business' group?" I'll throw that open. We're actually running a project at the moment with beyondblue and we've put together a group of small business owners to look at some of the material that beyondblue are working under the Heads Up umbrella. So I would extend that invitation to any – any farmers to come please, please join us because we're looking for a diversity in opinion from small business and farms are often a family owned, you know, traditional type small business and yes please, come and join us. Send me an email. Contact me through Safe Work Australia and – and I'll gladly add you to our group. And from a Safe Work point of view of course yes is the answer to that. You're absolutely in the target sweet spot for small business. But the other thing of course we understand that farming is a classic – one of those classic businesses with lots of highs and lots of lows where you're weather dependent, technology – there's lots of stress points and so in fact we're very keen to make sure that we reach out to the farming community as part of what we're doing as well. We've just finished a national road show where we got a beautiful old 1980 Bedford bus called "Roadshow Rhonda" and we drove 65,000 kilometres I think around Australia and spent a lot of that time out of cities where every time we went into a farming area or a rural community, it's extraordinary how struck we were you know it's not surprising, at the number of farmers and farmers' wives who came up to us and were very open about their experiences. I mean it's – as Ann said it's a tumultuous time and the vagaries of the weather and stock markets and all kinds of things can have a profound effect on your business success. A bit of an offshoot from that we've got one of our staff, the dad – he was a volunteered bus driver for a while – Charlie. Charlie and Barb his wife who are old farmers from country Victoria are now driving their Winnebago around country Victoria, country New South Wales and Queensland and going to all the agricultural shows actually giving out free information, resources and talking to farmers about this stuff. So there's a whole bunch of stuff that we are doing to target farmers. We have another web question if we can go to that. "As a supervisor of staff with serious mental health conditions what support can I get?" Georgie? Look there are a range of supports that you can get. I mean I think, you know, as I said earlier the Heads Up website contains a range of very practical guides and resources, tips, tricks about how to effectively and empathetically but also with confidence and firmness manage the ebbs and flows if someone who works for you has a severe mental illness. So those range from you know, phone lines to call where you'll speak to somebody who knows what they're talking about. There's our online forums where you can share information. We have got a LinkedIn community which is growing by the day in terms of membership. Where again you can swap stories and you can get some ideas from people who work in a similar environment about what worked for them and what didn't. There's also a range of supports and resources on the Heads Up website that for example, teach you how to approach having a decent conversation with someone, how to plan a return to work that's effective, what to say, what not to say and you know, again it's about building confidence. It's about saying "You don't have to be an expert." You don't have to diagnose. Please don't diagnose in fact but just know – build your skills, rehearse it and again it's just about sitting down and having a very human conversation with someone, a very honest conversation and saying "Okay, how can we work together on this?" Because as an employer you have your rights and your responsibilities just as your employee has their rights and responsibilities. It is a two-way street and the only way it's going to work is if everybody realises that and comes to the party together. We do have another web question and I'm very pleased to see them coming through. "Not everyone works in an enlightened workplace. How do you convince the CEO or line manager to change, that is bottom-up driven initiative?" and I suppose that's something in common with all aspects of health and safety. Ann do you have any thoughts on that? Well I think, you know, I've mentioned 'R U OK Day'. I think the great things about those sort of campaigns is that they do tend to be bottom up and I know there are – and I've heard stories of a number of workplaces where that question was asked and suddenly people are saying "Well actually I'm not. I'm really struggling," and that their peer workers start to gather round them and then collectively go to their management and say "We think we need to deal with this differently." So I think there are ways of doing that. It's not as easy in a workplace where you don't have support. Maybe you can sit your CEO or line management down and you can watch a replay of this. So there is another way that lots of workplaces are talking about it. People do think it's an important issue and it does need managing differently. Or refer them to the website if they need a bit of support and advice. But your peer group in a workplace can also come together and I think ask for change in workplaces. They can get engaged in a number of the public campaigns. Get someone to come in and speak at your workplace to all – to your management and your co-workers. There are lots of ways and small things you can do I think just to create awareness in a workplace. Again exactly the same way as once no one talked about the fact that they had breast cancer and now everyone's shaving their hair and raising money. So I think those things have changed very quickly over – just it's only taken a few years for workplaces to grab hold of those issues. I think exactly the same thing applies when we're talking about mental disorder and mental illness as well. Gather together and support each other. My tip would be figure out what the CEO who's reluctant, what pushes his or her buttons. Quite often I go into board rooms and to executive meetings and I say to CEOs very directly "If you are not taking this stuff seriously firstly you're losing money, you're not an employer of choice, you're not going to attract the best and brightest people who are going to be loyal, productive and hard working for you and quite frankly you're behind the times. So get with the program." So we're pretty direct about it. We've got some really strong evidence that shows that for every dollar that you invest in a mentally healthy workplace initiative – that's a bit of a mouthful, isn't it – you see an average return of $2.30. So those are really good returns and that increases for small business because of the proximity between the CEO or a leader and their staff. So I put it as a business proposition and also that you know, if you want to be considered a strong and effective leader you need to be doing this and you need to be doing this authentically. If I might make a comment you might ask the question of the CEO "We have first aid officers who are trained. What about mental health first aid officers?" And I might say as a trained mental health first aid officer myself I found it to be an incredibly fulfilling role personally but also the benefits for the organisation from that transparency, the destigmatising, getting it out there, it's an enormous benefit. Yeah. Some of the most effective results we're seeing in the business is that we're working with is those who embrace the idea of peer champions. So you know, again the workshop foreman, the union delegate or just you know, the person who slices the bread but that people trust, that is empathetic. And that understands the realities of the workplace. I think and applying that into a small business environment, say you might be a micro business and only have yourself - the owner and three employees – so four of you. You don't really have a CEO. You're all working side by side on the same level, on the same project and I think in that instance it comes down to developing a business culture. So for example for me with Billy Goat, we would have once a month we'd have small staff luncheons. We called them "bleat and eat" where you could sit and eat but you could also talk about things and I think if you have in a small business where it's not as formal, you don't have a mental health safety officer, you don't have those resources, but what you do have is an intimate connection with one another and I think if you can create that in a small business environment that may in fact initially not have anything to do with mental health and my mental wellbeing, but I have a culture where we feel comfortable enough to talk and share with one another then I may be more comfortable even going to the boss and saying to the boss "Are you okay?" One thing if I may before we take another web question, the question about the farmer raises something which has kind of been underlying under the surface but not discussed today and that is the male side of things, men, the macho "We're strong," "We don't cry," and so forth. Far from the reality and that may have a number of bases to it. How do we overcome that? It's an interesting question because I'm on the board of Australian Rugby and we've talked about this quite a lot. The use for example of sports people both as role models on the positive but also to talk about their own struggles and we've seen a bit of that lately when quite high profile sports people have been prepared to say "I have an issue," "I need time out," "I'm not managing," "I do have a long term issue that I need to sort through," and we saw that with – in the AFL and some of the other codes. So I think given sport and masculinity in Australia in particular are so inextricably linked, I think it is an issue that is getting prominence through sport. ...among the farming community where clearly the inability to find someone to talk to at a critical point throws you over the edge and we've seen it in sport as well, you know, where the inability to connect at the right time - so we're focused on partnering with organisations like beyondblue, to make sure those conversations are had. We're very focused on bringing it out into the open, so that if you are suffering any sort of mental disorder or you're anxious or all of those things that ultimately could lead to a longer term problem, we start to talk about them early rather than late because you don't want to leave it too late, because then people have sort of got themselves into the zone of not talking and feeling as you described, a feeling as though the world was against them and you end up on the couch or even worse. So I think real men talk, real men do cry. We need to start talking about the world we live in in a different way and for men to be talking about it like that as well. I think we need to be hearing some honest small business stories more in the media. So we need more real stories to be told about the realities of running and owning a small business and you know, the majority of men actually are small business owners when you look at the breakdown, the demographic. So we should have some more male business leaders telling their truth, living their truth. So I think that would definitely help to encourage more in the community to speak up. So a combination of role models to normalise. But also to provide that community understanding, community support. There's a really important factor that we found out through our research in targeting our work towards men and that's using humour. When we're engaging with men we don't talk about mental illness. We don't, we talk about relationship difficulties or you know, you're worried about losing a job or you've got financial stresses. You talk about mental illness crickets. So we've developed a campaign called ‘Man Therapy’ which is basically a therapy that's so manly it will put hairs on your brain and that's fronted by a fictional doctor called Dr Brian Ironwood who is incredibly rude, incredibly inappropriate but you know, speaks in manly ways to men and gives manly tips through using humour. So I mean there's a whole range of resources out there and again if you're a small business owner worried about a bloke who's working for you, you know, just leave a, you know, write down 'mantherapy.org.au' and just leave it on his desk. Call beyondblue for some ‘Man Therapy’ resources. We've also – Dr Brian didn't work with blue collar workers. So we've just introduced a new character called "Davo" who's a larrikin tradie and again he's, you know, he tested his socks off with blue collar workers and we launched him a couple of months ago and again, you know, he talks in very plain English. He swears, he farts, he, you know, does all kinds of inappropriate things. And he's fantastic and men love him. But you know what? There's a very serious message. And we all live with a bit of each of them probably. Yeah. There's a very serious message underneath and very, very practical ways to engage men and then point them towards the supports that are available. Well I will pick up the manly voice part of all that and throw to the next web question if I can. "Are there workplace programs I can sign staff up to so they can get some training and guidance about how to deal with mental illness in the workplace?" Well I think the Safe Work Australia website has a whole lot of material there but it's not actually a training program which is probably more in your space? Yeah. So again I sound like a cracked record but headsup.org.au is a one stop shop for this kind of stuff. It's a beyondblue initiative but it's actually powered by a Mentally Healthy Workplace Alliance of which Safe Work Australia is a fantastic partner and on that website the final section is about resources and information and supports. There's a whole range of online learning, online training, education materials, but also links to evidence based workplace training programs, some of which are free, some of which a user pays, not just from beyondblue but from other fantastic organisations like Black Dog and Sane. So everything – if you go to that section there's a whole range of ideas there. You can choose the one that you think will fit you and your business the best. The other thing I'd suggest that you do is think about getting someone with a lived experience of mental illness into your workplace to actually break down that stigma. We've got a speakers bureau of – I think it's about 350 fantastic people now who we support to tell their stories and they're all over Australia. So again just pick up the phone, give beyondblue a call and we can arrange a speaker for your workplace. And to flip back on the question, it's probably also – all of those things are absolutely important but if you think you've got an issue and you want to change the way your workplace is thinking about this, maybe the first thing to do is just get everyone together and to have a conversation about it. So maybe step one isn't a training program. Maybe step one is a conversation with everyone together using some of the external material perhaps, but you know, asking people if they have issues, if they've got stories to share. Have they worked in other workplaces where it's been done differently and better because I'm sure inside every workplace are a lot of great ideas that have never been surfaced and that's true on every issue. But I think on this issue in particular where people haven't been prepared to speak publicly or maybe you know, the opportunity hasn't been there to just get the team together and say "What do you think would be the next way forward?" and "Here's some material we can use to inform it." I agree. I agree and I think in the conversation we had the other week you used the term "vulnerable leadership" and I thought that that was just a brilliant way to capture how we might be able to help one another in the workplace is it's not particularly easy to sit here and go "Listen everyone. I think I failed and I had depression." It's actually not easy to do that. However by sharing my story and by saying "I'm in a leadership role and I'm not quite sure about what's going on here," then we open the way for others to then say "Hey if she doesn't feel that way then maybe it's okay for me to," you know "be unsure myself." This is my first CEO gig and what I've found works really well for me and makes me look really intelligent is to ask my staff what they think. It's amazing. The depth of knowledge and the kind of – and quite often we get it wrong as leaders. We assume we know what our workers want or what's going to make the biggest difference to our employees. Quite often we get it wrong. So Ann's right. It's the great myth of leadership that it all resides. You get to the top of the organisation and there it all sits in one person. And the smartest leaders actually are the people who ask their own teams for ideas. Most great ideas actually sit close to where the problems are. Unfortunately we could go on for quite some time. We are getting near the end of the session. There is another web question but before we do and I should have perhaps made mention of this earlier, this is a very serious topic. Now when we talk about support, obviously organisations have their employee assistance programs and they should be encouraged to be used but also – and understand they are on the system for you to see, the very critical and important contacts for beyondblue, Lifeline and others who can provide that immediate support to you. So if this is causing you any concern, if this session is raising issues and you would like to talk to somebody, we really would encourage you to take advantage of that and do so. The next web question and I'm afraid we'll need to make this the last. "As an employer what are my legal obligations?" 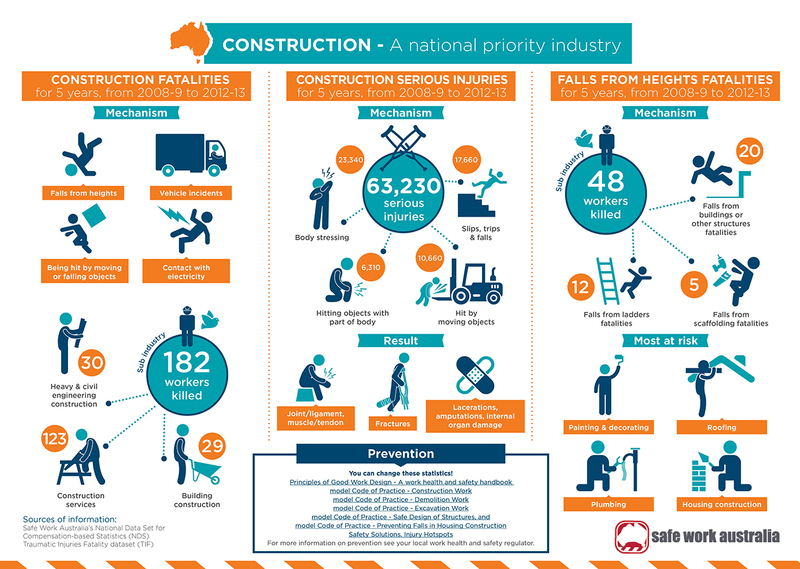 Well again I'd encourage you to have a look at the Safe Work Australia website. Your legal obligations are the same as they are in every environment. You have an obligation to provide a safe workplace, you have an obligation to your employees, have an obligation essentially to take all reasonable steps and we can help you work through that. If you have a look at the website and the material on this that helps you make your judgement call on that. But I think look common sense says that as an employer your obligation is to provide a safe workplace and that means making sure you understand your people, you understand their needs, that you do again what's reasonable and the test is a reasonable test. Yeah. I'm not sure. I'm sure there's a very long-winded legal answer around this but I'm in the position I think of really encouraging you to look for the good advice – look at the good advice that's available for you as an employer where we've stripped away a lot of the noise so that you can read it simply and understand your obligations. Safe Work Australia website. And if I may as a lawyer the practicality of it is twofold. You mentioned design before. Things like understanding the way you structure work - rosters, work pressures and so forth - which can contribute to the problem. But the other is relationships and we talked about the dynamic and how supporting it can be - the other side of that coin is destructive relationships and interactions. So it's as much about things like making sure that workplace behaviour is appropriate, stamping out inappropriate workplace behaviours such as bullying and that's part of the legal obligation of the employer. One of the questions I think that we get asked quite a lot is "Can I actually ask about a mental health – details about someone's mental illness?" and you absolutely have a legal right to ask legitimate questions or certain questions where it's legitimate, where it's beneficial for you and the employee and where it's actually necessary. So for example, if someone is operating heavy machinery and you're aware through, you know, the disclosure of that person that they have a mental health diagnosis you have every right to ask them about their medication. For example, does it make them drowsy? So there are certain questions that you are actually legally entitled to make to protect the safety of that person and other people working with them. I think there's a common sense test in this really isn't there and I often hear people say "Well I can't do it," you know, "I'm a business owner. I'm not allowed to do anything." That's not true. I mean you have obligations but also you have plenty of rights as well to ask reasonable questions, to ask people if they're all right, to make sure that you are creating a safe work environment for everyone else. You know, there's a lot in that dynamic which ultimately I think is about you asking plenty of questions and getting a right amount of information to make good judgements. So the idea that you're not allowed to do anything, you're not allowed to ask, you're not allowed – a lot of that is hearsay and myth and again I'd encourage you to get good information before doing anything. If you're not sure ask. Pick up the phone, go to the website. There's lots of information out there but ask the question. And I think to conclude on that point and Leanne made the point very well early on, is that with a small business it is like a family and you do talk to your family. You do care about your family and it's the same with your employees. We do need to finish. After a short break each of the panel members will be available online to answer questions and I'd certainly encourage you to. But before we do conclude and they'll need to be very brief, can I ask for an insight from each of you starting with Leanne? I think from a small business owner perspective and from my lived experience is I've had a realisation that my mental health challenges were actually survivable and at the time when I was experiencing it I would have said "No." But in fact it's just day by day and there is light at the end of the tunnel and I think when I sit down and talk to small business people who are struggling, it's just so important to say that there is hope at the end and it is survivable. Mental illness is everywhere. You know, it affects all of us. Stresses, anxiety, depression – whatever you want to call it. So I think let's stop pretending and let's start getting real about this being something that is not about other people. The second thing I'd say and this was said to me by the most magnificent women who lives with schizophrenia – Janet Marr – who was an inaugural National Mental Health Commissioner, is an internationally renowned consumer advocate for people living with mental illness. She once said to me and I remember this very clearly, she said "Georgie having a mental illness is not an excuse for bad behaviour. It affects me sometimes. It affects my performance, but it is not an excuse for bad behaviour," and that's I think, you know, so don't be scared about this stuff. I'll stop there. I guess my last point is that ultimately great workplaces have great cultures and are led by great people. In all the talk of what happens in workplaces, those three things are really at the core of everything that we want to see and all of that is underpinned by great communication. So talk, talk, talk, talk, talk. Well that produces a very good final message. We all need to be and want to be as great as we can but we can't necessarily be and if you have struggles or concerns or issues with what you perceive to be failure, do something about it. Get it out there in the open. The earlier it's dealt with the better. Thank you all very much for attending today. Hopefully everyone got something out of it. As I say after a short break the panellists will be available to answer questions online and good luck to you all. Be safe and be healthy.